Bio: I moved to Las Vegas in 2007 and was a pretty overweight and sedentary registered nurse. I quit smoking after 15 years in October 2007 and gained even more weight. 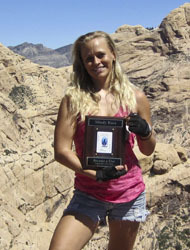 I started trying to hike alone in the summer of 2008 but had no idea what I was doing. I joined the meetup group after my friend suggested it. Not long after I met Rick who became a huge positive influence in my life. He helped me through healthy eating and exercise to lose close to 50 pounds and dominate in weight lifting! Hiking with him helped me become a very good hiker as well as an organizer. Hiking has become my second love after horse riding. Branch has also been a positive influence with this group and helping me achieve my hiking goals. 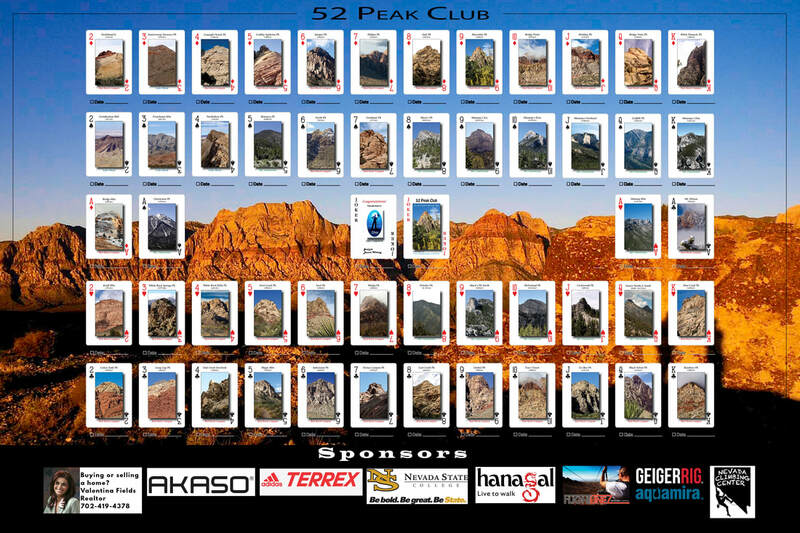 Why did you join the 52 Peak Club: It sounded fun and a great way to set hiking goals. Favorite Hike: Mindy's Loop forward and backward is extremely fun. How did you feel once you became a 53er: Accomplished, proud of achieving another challenging goal. Advice for new hikers: Never give up. Start with shorter, easier, slower hikes and work your way up. Very important to read the entire description of posted hikes before signing up for that particular hike. Also remember to be safe, have fun, and challenge yourself. Make sure you ALWAYS bring 32 oz. (extra) emergency water in addition to your normal amount you would bring. Make sure you eat a healthy breakfast before a hike (NO coffee and donuts!) Always stay positive and keep pushing. You CAN achieve your goals! Only you hold yourself back or move yourself forward.